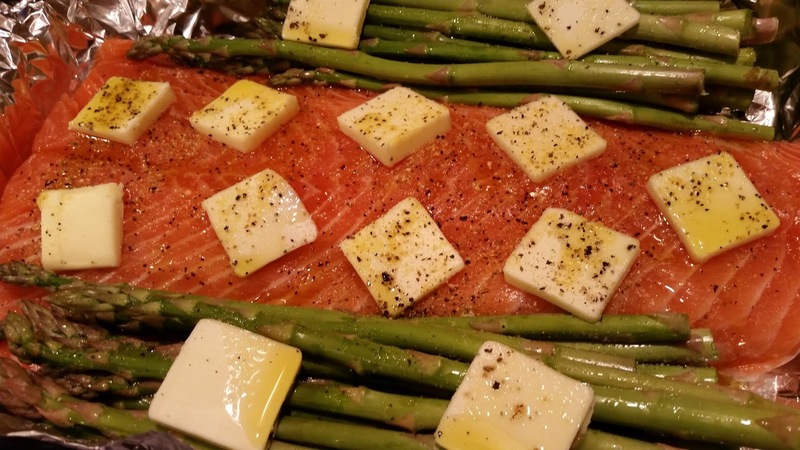 I love salmon and since it's pink so do my kids :) We cook it in a variety of ways but one of my favorite and easiest ways is to bake it right along side some veggies. You throw it all in a 9x13 and walk away. 20 minutes later you're all set with a delicious meal! It turns out moist, flaky and perfect every time! It's pictured here with asparagus but I've also done baby carrots, brussel sprouts, and zucchini. I also change up the seasoning frequently too depending what I'm serving it with. I've listed lemon-pepper below but I also love dill or southwestern spices (like chili powder and garlic salt). If you love a quick and healthy meal this will become a go-to for you! Line a 9x13 pan with a large piece of foil (leave enough on the sides to fold over salmon). 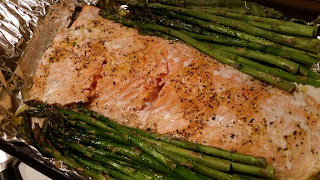 Place salmon (skin side down) in the middle of the pan and surround it with veggies. Thinly slice butter and place pats of butter on top of salmon and veggies. Sprinkle veggies with olive oil as well. Shake lemon pepper, salt and pepper evenly over salmon and veggies. Pull edges of foil in to slightly cover. Bake at 400 degrees for 20 minutes or until thickest part of salmon is opaque and pink. 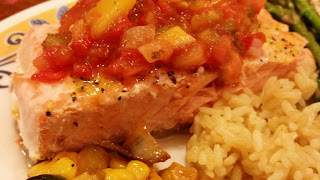 Serve with rice pilaf, calabacitas, mango salsa, mashed potatoes, or enjoy all by itself! 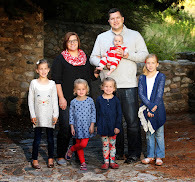 Thanks so much for checking out my blog. Which cousin are you married to? I have a kiddo named Emmy too. How fun!